Tomorrow, September 18th, is the North Missouri Produce Auction’s special Mum and Pumpkin Auction. We had a look at the usual goings-on at this auction last month with photos by Don Burke. The mum and pumpkin edition happens once a year and by its name you can guess what’s sold there. Today we have a gander at what you might see if you’re in Jamesport, MO tomorrow. 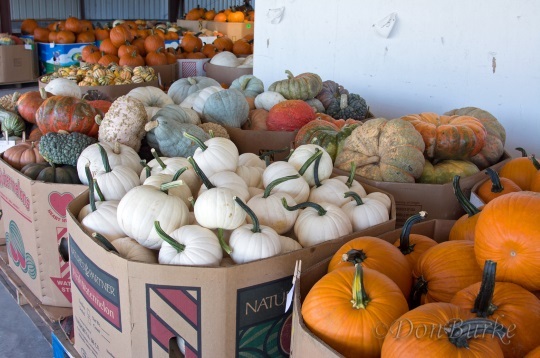 Pumpkins are one of the most fascinating produce items to me for their many varieties and also by how heavily they are associated with a certain season. 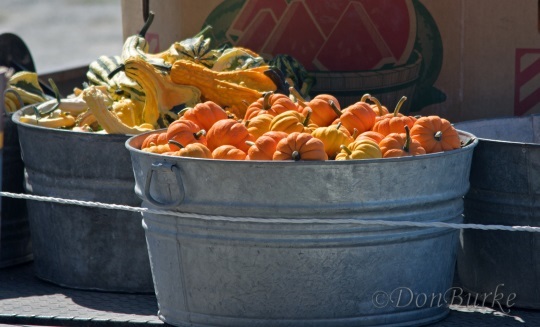 When you start to see pumpkins it means the crisp days of fall are here or just around the corner. It also means that for about 2 months, pumpkin flavoring invades everything we consume from coffee to pasta sauce to ice cream…but that’s another story 🙂 On to the auction. 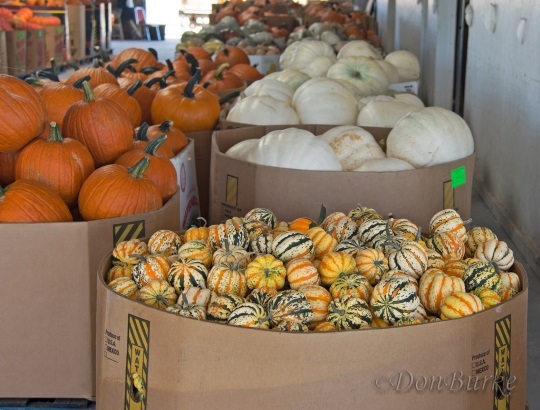 Don Burke: Mid-September brings the annual mum and pumpkin auction. It is one of the largest and most exciting auction days of the whole year. Naturally mums and pumpkins are available on other auction days during this time of year, but this one auction is specially dedicated to these two items. This auction is so large that the activity level is in full swing even the day before the auction. 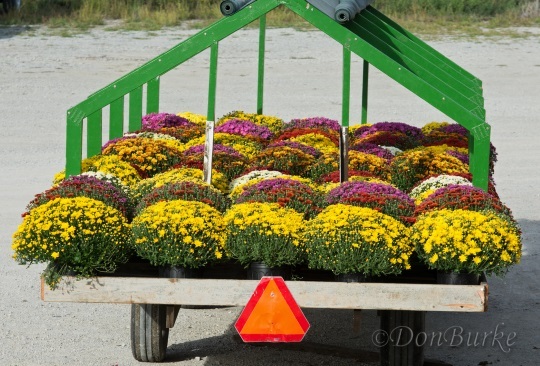 Wagons filled with mums are already arriving. 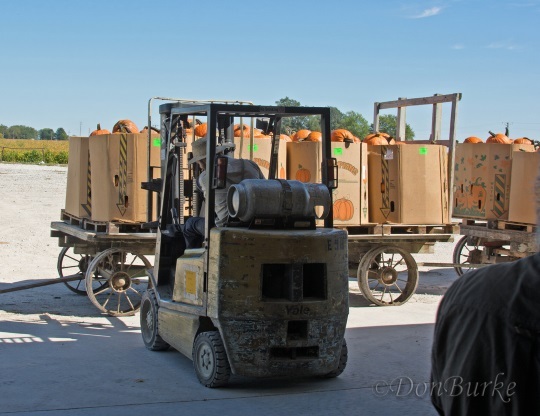 A number of forklifts, here driven by an Amish auction worker, unload pallets of pumpkins from Amish wagons and English trailers. 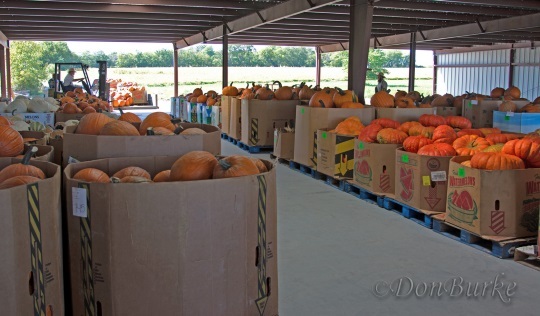 By mid-afternoon pallets of pumpkins already nearly fill up portions of the auction building. Then on auction morning the incoming traffic is a sight to behold. 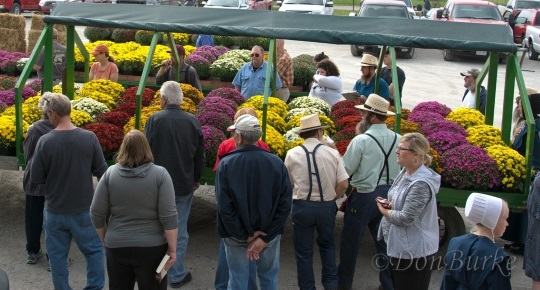 A couple of German Baptist growers unloading two trailers of mums to sell. 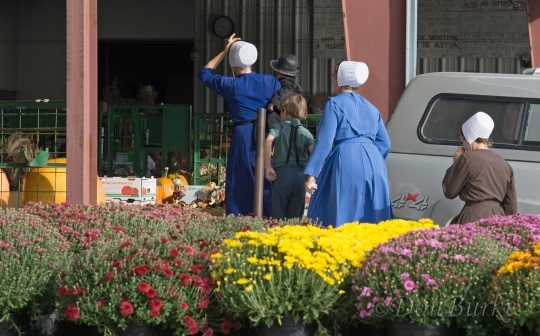 Larger-volume Amish growers might pay an English driver to haul loads too big to be brought in on their own wagons. 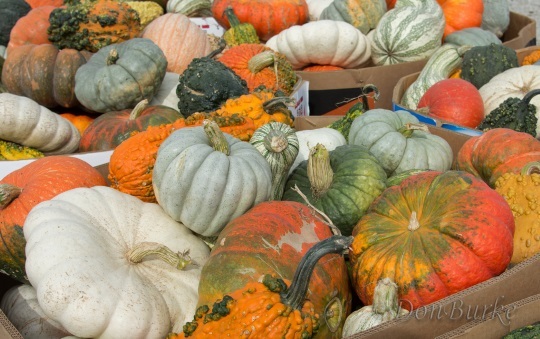 Pumpkins – large and small, plain and decorative – are almost too numerous to count. 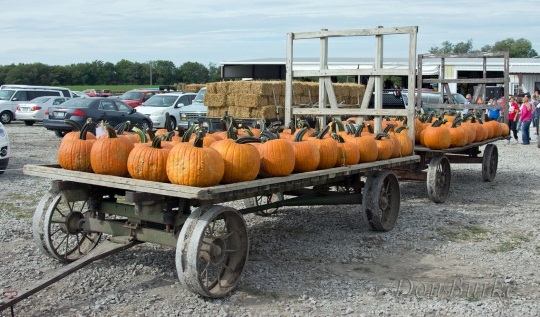 Wholesalers from grocery stores and retail chains at times buy mums and pumpkins by the wagonloads and by pallet-sized mega-boxes. As I recall, once the auction begins there are two auctions going on simultaneously in order to adequately process the volume of goods auctioned within the day’s time. The mum and pumpkin auction is an exciting day at the auction. 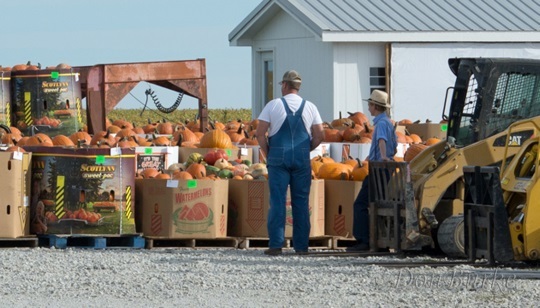 But whether it’s this special auction or one of the more routine ones throughout the auction year, whether it’s half-an-hour or half-a-day the North Missouri Produce Auction is a place everyone visiting Jamesport should spend some time checking out. 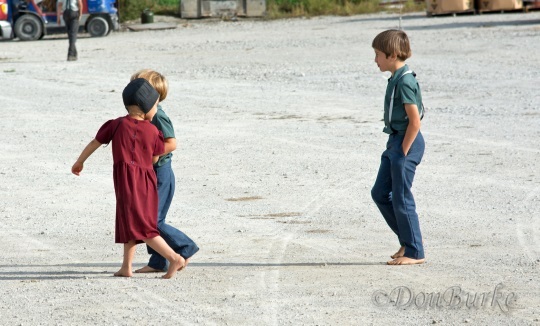 Thank you to Don, and check out more of his Amish photos on flickr. And here’s more on the North Missouri Produce Auction via the University of Missouri’s AgEBB site. You’ll find the annual auction schedule, contact numbers, and info for sellers. According to the site, all auctions start at 10 AM, except for Mondays (12 noon). Wow I don’t think I have ever seen such a variety of pumpkins. I wish I was closer to Missouri just to see the variety. 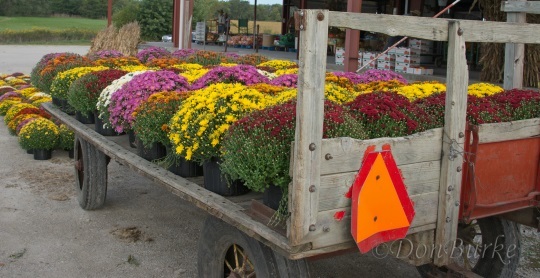 The wagon loads of Mums is also a pretty sight to see. Thanks for the great pictures Don. Debbie, thank you for your compliments. It really was a sight to see. I’m glad that you enjoyed the pictures. Wow!! 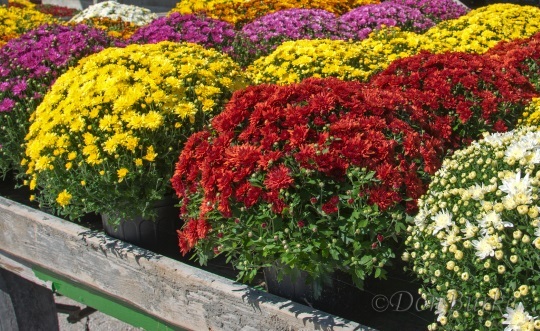 So many beautiful & huge mums. 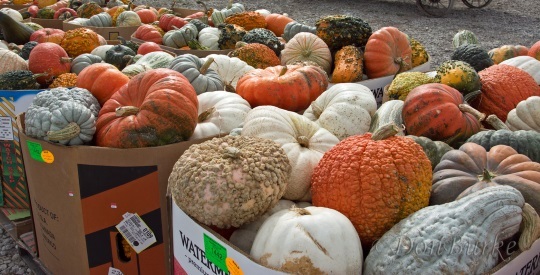 And so many colors and sizes of pumpkins to choose from. 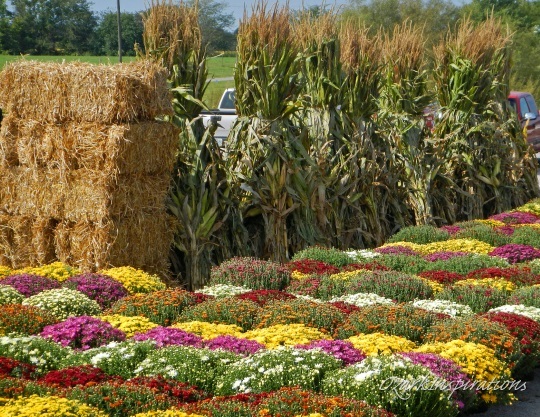 What a beautiful array of colors — not only the mums but the pumpkins, too! Thank you for sharing. Thank you Don for the time you take to share your photos. If I wasn’t already in a fall frame of mind I would be now 🙂 I’m always ready for fall and these pictures are just wonderful. Love the pictures, and flowers, love Fall..